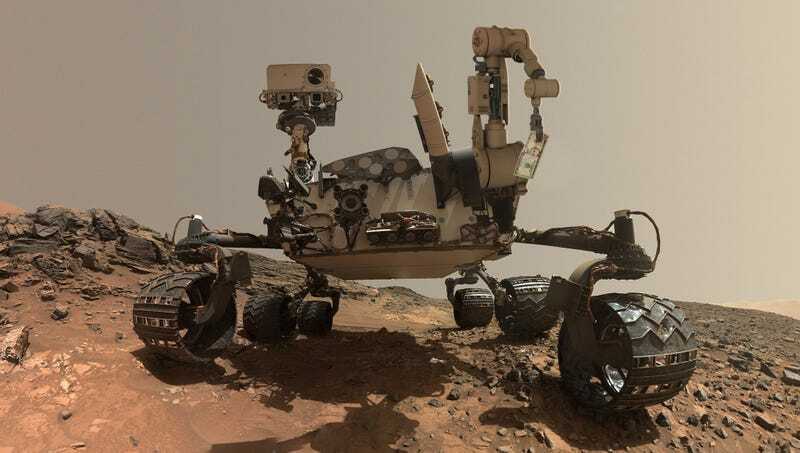 CAPE CANAVERAL, FL—Stunned by both the sheer good fortune of their discovery and its implications for future exploration, scientists at NASA confirmed Friday that the Curiosity Rover had found five bucks in the red dust of Mars’ Gale Crater. “This is unbelievable—five whole American dollars!” said program director Jim Watzin, noting that the presence of a small bill suggests that future manned expeditions may one day be able to receive change back from cash transactions on Mars. “When the first lo-res images came back, we thought we’d found a 50—which would have been crazy, that’s too much to expect—but this is still amazing. None of the quarters we’ve found before, and certainly not the Canadian pennies, suggested the presence of any kind of decent life on Mars, but now that we’ve found a piece of currency we thought was actually worth the effort of picking up, we’re starting to think otherwise.” Watzin speculated that the fiver may eventually be regarded as the greatest extraterrestrial discovery since Apollo 15 found a small chest of Roman coins on the Moon.